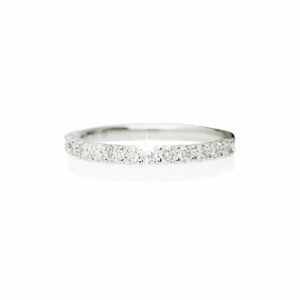 A classic and beautiful 18ct white gold eternity/wedding ring with 0.51cts of diamonds. 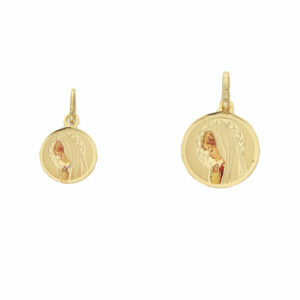 An smaller 18ct yellow gold medal for girls finished with enamel. It shows the Virgin Mary as a child. 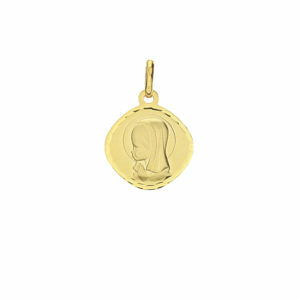 A 15mm 18ct yellow gold religious medal showing the Virgin Mary as a child. 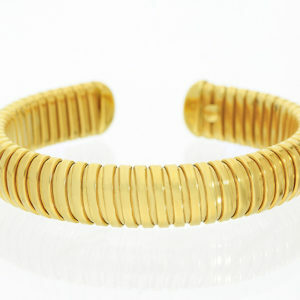 An 18ct yellow gold medal for girls finished with enamel. 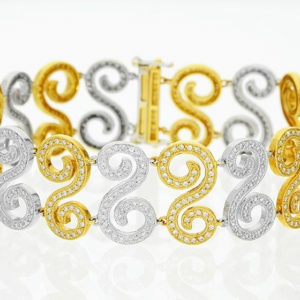 It shows the Virgin Mary as a child. 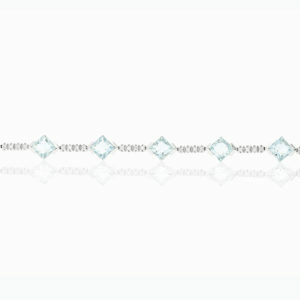 An 18ct White Gold Aquamarine and Diamond Bracelet with ten aquamarines and 0.40cts of diamonds. 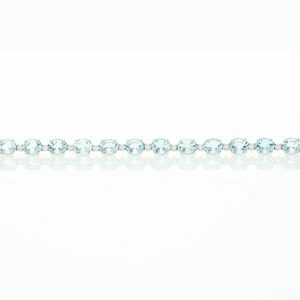 An 18ct White Gold Aquamarine and Diamond Bracelet. 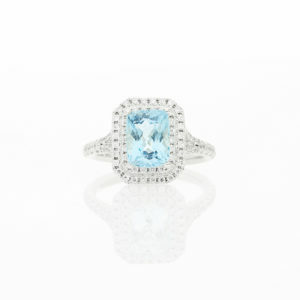 A 0.92ct Aquamarine set in an 18ct white gold setting with two rows of diamonds and a diamond surround. 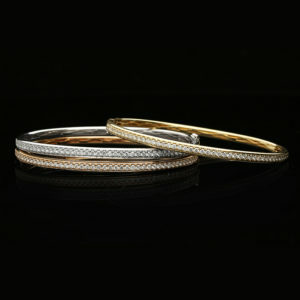 0.46cts of diamonds. 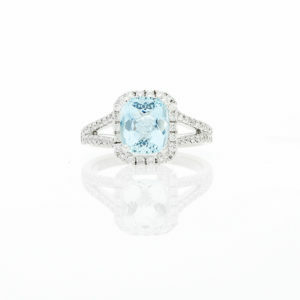 A 0.91ct Aquamarine set in an 18ct white gold setting with 0.40cts of diamonds. 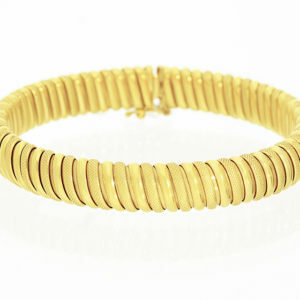 An 18ct yellow gold guardian Angel medal. 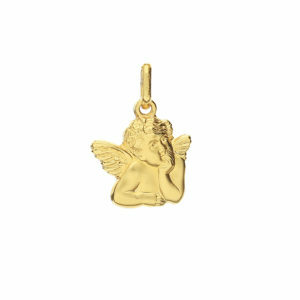 An 18ct yellow gold guardian Angel medal with enamel. 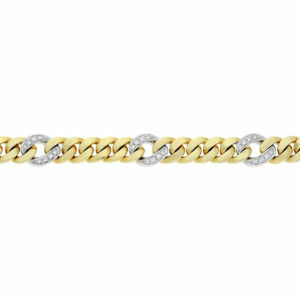 A solid 18ct yellow gold curb bracelet with white gold links with 1.16cts of diamonds.